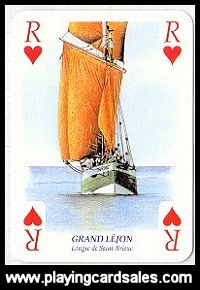 Pack celebrating the International Festival of the Sea and Sailors held in Brest, 2004, depicting different gaffers. 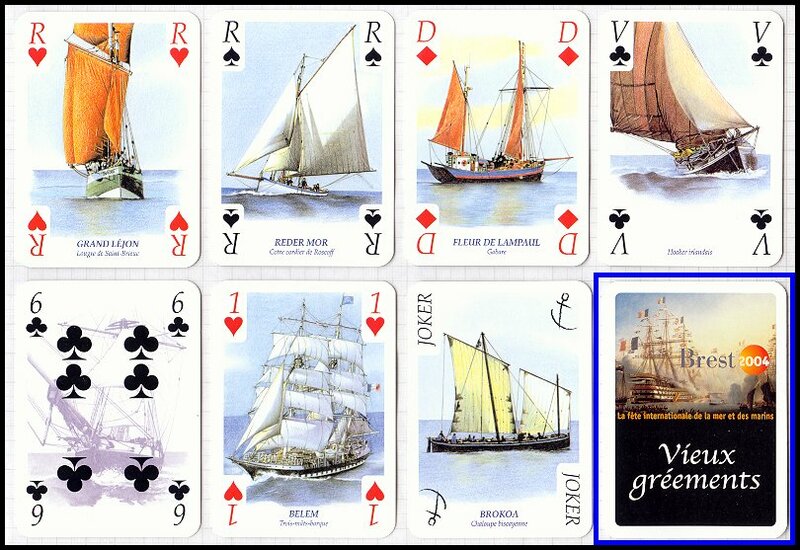 Illustrations by Yannick Pennanguer on court cards, Aces and Jokers. Pips all set against the same background showing an old gaffer.